The name “clafouti” sounds like a fancy dessert, yet it’s as easy to make as pancake batter. Traditionally it’s made with apples, cherries or apricots when in season. 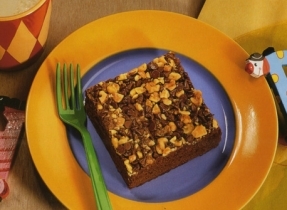 This version with bananas makes it a dessert fit for any time of year. Preheat oven to 400°F (200°C). 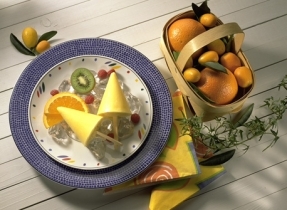 Butter a 9-inch (23 cm) deep-dish glass pie plate or an 8-inch (20 cm) glass baking dish. In a bowl, whisk together flour, sugar and salt; whisk in eggs and vanilla until blended. Gradually whisk in milk until frothy. Set aside. Cut bananas into thin slices and place in a bowl with lemon juice. Toss gently to coat in juice. 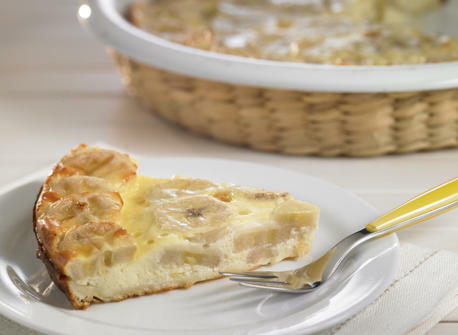 Arrange banana slices in the bottom of prepared baking dish, overlapping slightly. Gently pour milk mixture over top of bananas. Bake in preheated oven for about 35 min or until top is golden brown and centre is puffed. Let cool on a wire rack for 15 minutes. Serve warm or let cool completely. Use bananas that are ripe and sweet (with a few brown spots on the skin) but still firm enough to hold together when sliced. Always crack each egg into a separate small dish before adding to a batter to avoid getting bits of shell in the rest of the ingredients. Use two pie lifters or pancake flippers to remove wedges of the clafouti from the pie plate and transfer to serving plates. 64 people love this recipe.